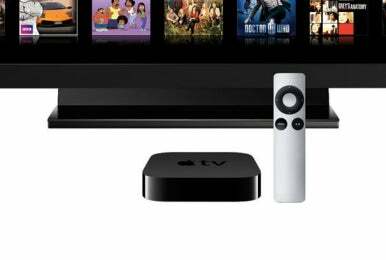 Apple TV vs. Roku: Which is right for you? Keen as some of us are about Apple and its products, the second-generation Apple TV ( ) is not the only set-top-streaming-media game in town. For the same or less money than the Apple TV, you can still stream music and video to your television—and from many more places than the Apple TV. So which media streamer is right for you, the Apple TV or a less-expensive alternative like one of Roku’s offerings ( )? Or, depending on your needs, you may want two—one of each. Models The Apple TV comes in a single $99 configuration. You get a small, black, streaming-only device (you can’t store content on it because it has no hard drive). It carries HDMI, optical audio output, 10/100Base-T ethernet, and Micro-USB ports on the back. It additionally offers 802.11a/b/g/n Wi-Fi networking, plays 720p HD video, and includes Apple’s latest Apple Remote hardware. Roku makes four Roku player models—the $50 Roku LT, $60 Roku 2 HD, $80 Roku 2 XD, and $100 Roku 2 XS. All models include 802.11b/g/n wireless networking, an HDMI port, a hardware remote control, and support at least 720p video. The Roku 2 XD and XS devices additionally support 1080p video from channels that offer it, and include a microSD card slot for storing extra games and channel settings. All Roku 2 models support games controlled by a Bluetooth remote control (it comes with the XS model, and Roku offers the Roku Game Remote as an add-on for the HD and XD models as well, as part of a $30 bundle that also includes a 2GB MicroSD card). The top-end XS model also includes both ethernet and USB ports. In regard to streaming local content, the Roku models don’t do a terribly good job. They can’t play content protected with Apple’s DRM, and even setting up the devices to find the content stored on your computer can be a cumbersome process. Internet content Conversely, the Apple TV is limited in what it can stream to you from the Internet. If all you want is content from the iTunes Store, the Apple TV serves admirably. It additionally streams Netflix, NHL, MLB, WSJ Live, NBA, YouTube, Vimeo, Flickr, and Internet radio content (some of which require additional subscriptions). But if you’re looking for more from the Internet, the Apple TV isn’t the best choice. The Roku boxes can stream more than 300 channels of content including Netflix, Hulu Plus, Amazon Instant Video, Pandora, Mog, Disney, Facebook, and TWiT.TV. You can additionally add “hidden” channels if you know the correct code. And Roku recently added support for HBO Go (although neither Comcast nor DirecTV allows its customers to stream HBO Go using a Roku device). Purchased content As much free video content as there is floating around on the Internet, people still rent and purchase stuff. Each device allows you to buy or rent some media, but not all. With an Apple TV you can rent movies but not purchase them. (If you want to purchase movies, you must do so from your computer and then stream them to the Apple TV.) Conversely, you can purchase TV shows, but not rent them. When you purchase a TV show, it resides on Apple’s servers, ready to stream to your Apple TV and iOS devices. If you want to download a copy, you do so within iTunes on your computer by clicking the iTunes Store link, clicking the Purchased link on the Store’s main page, selecting the show you’ve purchased episodes for, and then download all or a selection of the show’s episodes. Amazon Instant Video is the closest thing for Roku owners. Using Amazon’s channel you can rent as well as purchase movies. This content is stored on Amazon’s servers and streamed to the Roku. Unlike with the iTunes Store, Mac users can’t download video purchased from Amazon. Instead, they must stream this content to their Macs in a Web browser. iOS streaming One huge advantage the Apple TV has over Roku set-top boxes is AirPlay. Using AirPlay you can stream media from your iOS device to your Apple TV. And on the iPad 2 or iPhone 4S, you can mirror the content of your device’s screen on your TV via the Apple TV. External storage Although the Apple TV bears a Micro-USB jack, Apple maintains that it be used for service purposes only. You can’t use it to attach a USB drive full of media to your Apple TV. 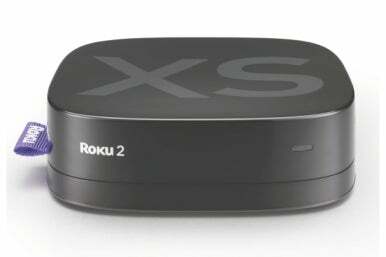 If you have a Roku 2 XS, however, you can connect a hard drive to its USB port and play supported media from that drive (MPEG-4 and H.264 video, AAC and MP3 audio, and JPEG and PNG images). Broadly speaking, which path you take will be determined by your desire for local or Internet media. If you have nearly all the media you want in your iTunes library or on an iOS device—and can make up for the media you don’t have with Netflix streaming video—then the Apple TV is a good fit. If, however, you seek nearly everything the Internet offers in regard to streaming media, the Roku devices deliver exactly that.